Barcelona: The battle is on in Barcelona, Spain’s popular Mediterranean city where two airlines have started competing for passengers in the emerging trend of low-cost, long-haul flights. The first flight operated by Level — a new carrier created by IAG, the parent company of British Airways and Spain’s Iberia — took off Thursday from El Prat airport for Los Angeles. The airline also flies to San Francisco, Buenos Aires and Punta Cana in the Dominican Republic. Meanwhile Norwegian, a pioneer in cheap long-distance flights, begins Monday flights to New York, Los Angeles, Miami and San Francisco. The airline will make Barcelona its fifth hub for such flights after London, Paris, Bangkok and Amsterdam. Altogether, 22 low-cost transatlantic flights will take off every week from Barcelona, breaking into a market that until recently was the preserve of traditional major airlines. But with the emergence of a new and more fuel-efficient generation of aircraft and the collapse of oil prices, low cost carriers such as Norwegian and French Blue are increasingly operating transatlantic flights from European airports such as Paris or London. Barcelona, a huge tourist magnet, is well placed to ride on this new wave, given that it is Europe’s number one hub for low-cost flights according to air travel data company OAG. While it is still behind Madrid, the airport has seen passenger numbers leap 60 per cent between 2009 and 2016. But until now, the flights that took off from Barcelona were almost solely short- or medium-haul. “There was an anomaly in the market: Barcelona is a city with huge international profile ... but long-distance flights weren’t up to the task,” said a spokesman for Norwegian, adding the company saw “a market opportunity” to develop cheap long-haul flights. John Grant, an OAG analyst, said Barcelona — a draw for tourists, including from cruise ships — was “well placed to work”. 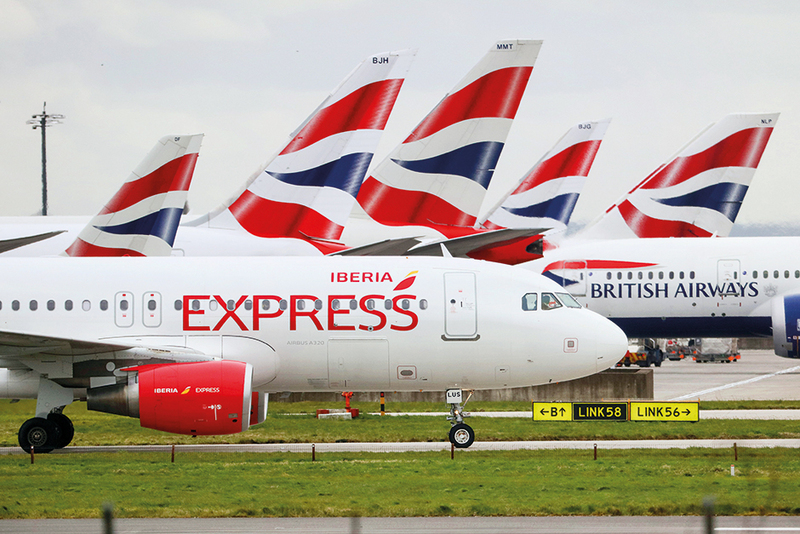 Level, for instance, “will take advantage of the fact that Vueling (the low-cost airline that is in the same IAG group) is very present on the market,” said Philippe Berland, a transport consultant at Sia Partners. So passengers will for instance be able to board a Vueling flight from London to Barcelona, where they can change and take Level to the United States. Barcelona has competition in this field from other European airports, and it may need a quick boost to airport staff after lengthy passport queues last month brought it plenty of unwanted attention. Authorities in Catalonia, where the city is located, hope that the arrival of low-cost, long-haul carriers will boost growth in the region. “We will be just €200 (Dh828) away from Silicon Valley and the world’s biggest tech companies,” says Ricard Font, in charge of infrastructure for the regional government. For Jaume Adrover, head of the airport section of Barcelona’s chamber of commerce, the flights could benefit Catalan companies — even small ones with low budgets — whose employees can travel to Argentina or California at low cost. Booked in advance, the prices can be much lower than traditional airlines, provided the passenger does not want to check in his or her suitcase or pay for food, and can fly on the few days in the week when the flight operates. With the options of checked-in luggage and food added in, tickets are more expensive. According to Adrover, the arrival of long-haul cheap flights could also give local employment a boost. He says El Prat currently generates 125,000 jobs, directly and indirectly. Norwegian, for one, plans to double its workforce there this year to close to 800 people.